This is a reminder that Oregon and New York City’s Salary History Restrictions go into effect October 2017. Delaware goes into effect November 2017, where as San Francisco and Massachusetts don’t take effect until July 2018. Philadelphia is still on hold. Vermont has joined other states, cities, and counties in restricting inquiries on employment applications regarding criminal convictions except where specifically allowed by federal or state mandate. We are recruiting for an Environmental Compliance Engineer in Newport News, VA. The incumbent will be responsible to align Environmental Compliance processes with business goals and to engage employees to promote behaviors that will achieve the highest levels of productivity and compliance possible. All potential candidates must be authorized to work for any employer in the United States, employer sponsorship is not available. This is just ONE of the over 30 current EHS positions we are recruiting for nationwide, many of which are confidential and not listed on our website. There is never any fee or contract for a candidate. All fees are paid by our corporate clients who have hired us to find you! The West Florida Chapter is offering this day of training to it’s members and fellow safety professionals to further our mission as well as offering Continuing Educational Credits at an affordable cost. 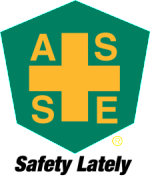 To help support this event, please spread word to other EHS Professionals that may need CEU’s and may be interested in joining ASSE. We’re proud to be exhibiting at Safety 2017 and we want to meet you there! and we want to meet you there! See below for a link to getting FREE Exhibit Hall Passes for You and Your Colleagues! Visit us at Safety 2017 at the Colorado Convention Center, in Denver Colorado, June 19-21. We will have three venues! 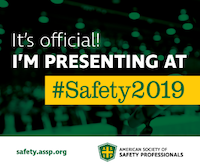 Safety 2018 – ASSP’s premier annual event is upon us! @ASSPSafety #Safety2018? Will you be in San Antonio for Safety 2018 as history is made? @ASSPSafety #Safety2018? Consentium Search is a national professional retained and contingency search firm committed to sourcing executive, middle management and future industry stars. Consentium Search brings together the finest career opportunities in all industries and in leading corporations across the United States with the most qualified professionals. Our name, Consentium Search, is rooted in Roman Mythology. The Porticus Deorum Consentium was the meeting place of Jupiter, Juno, Neptune, Minerva, Apollo, Diana, Mars, Venus, Vulcan, Vesta, Mercury, and Ceres. Major decisions concerning man’s fate were reached only by consensus of the twelve. In accordance with this philosophy of consensus building, Consentium Search strives to assure that all parties, directly and indirectly, involved in the hiring process are in alignment.